Locked Out of Your Home In Dallas-Fort Worth, Texas? The home lockouts nightmare! You arrive home and reach into your purse or pocket only to discover your house keys are not where you thought you put them. Impatiently, and with a bit of fear, you check every possible place for your keys. You trace back your steps all the way to the car, but still no keys. Where did they go? You need them. Guests are arriving soon and how embarrassing it will be to tell them you can’t get into your own home because you lost your keys. Fortunately, you remember seeing an advertisement about Dallas FW Locksmith, a local company that provides 24/7 locksmith service and has less than a 30 min response time to all home lockout emergencies. Eureka – a solution to your dilemma! Believe it or not, home lockouts happen more than anyone thinks. But when it happens to us personally, we feel that we are the only one who experience these kinds of mishaps. However, our company knows that lockouts happen. It’s a fact of life and we are prepared to respond to any of your home lockout needs in Dallas and Fort Worth, TX and surrounding areas. No matter where you are in the Dallas-Fort Worth area, know that we have mobile locksmiths that will respond in less than 30 minutes. Here at Dallas FW Locksmith, we employ only expert technicians with 5+ years’ experience in the locksmithing trade. A portion of their locksmith experience must also be in the performance as a residential locksmith. Residential lockouts are different from commercial lockouts and as such, require specific skills that only a residential locksmith has. Besides, being locked out of your home is more of a personal event. We also care about that. Regardless of the type of lockout, we provide complete locksmith service for all lockouts with fast and friendly service. Our company accepts nothing less from our technicians because we are the leading locksmith business in the Dallas area. We are fully licensed, bonded, and insured. That means that every job we do is guaranteed to be completed to your expectations, without any liability to you. Contact our office. A representative will take your information and then dispatch one of our expert technicians to your residence. In less than thirty minutes, one of our mobile locksmiths will be at your home. Once the technician arrives, he will assess the situation and determine what needs to be done, providing you with up front pricing before beginning any work. The technician will then unlock the door and, if necessary, provide you with a house key replacement, and/or rekey or replace the locks for you. We’re here to help solve your home lockout problems and we offer the most complete locksmith service. We are a fully licensed, bonded, and insured company in Dallas and Fort Worth, TX and surrounding areas so you know the work we perform is guaranteed. Home lockouts can happen anytime, day or night, any day of the week. That’s why we provide ’round the clock, 24/7 locksmith service. Just call the number provided and one of our mobile locksmiths will immediately respond in less than thirty minutes with fast and friendly service and transparent pricing. We are proud to say that because not one locksmith service compares to the locksmith services that we provide to all of our customers. There is no comparison and that’s a fact we proudly stand on. Dallas FW Locksmith is the leading locksmith in the Dallas-Fort Worth, TX area. It’s the only locksmith company that provides professional, around the clock, certified complete locksmith services. We are fast and friendly with a reputation for excellence. 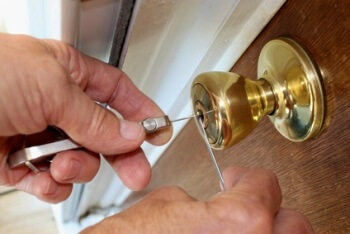 24/7 Assistance for Home Lockouts http://dallasfwlocksmith.com/home-lockouts/ 3.8/5 based upon 25 reviews.